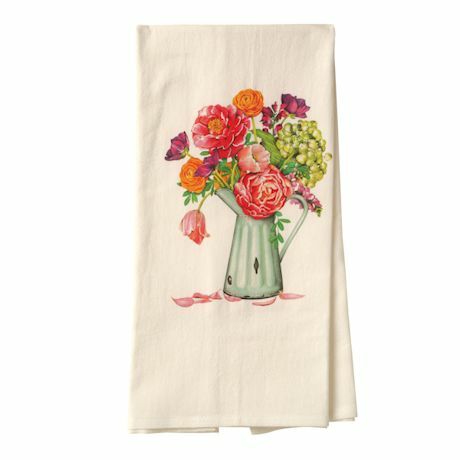 Just-picked flowers are tucked in a rustic pitcher; the bright spot looks wonderful hung on an oven door or decorating a countertop on your kitchen. Soft 100% cotton tea towel will soften and improve with age. 30" x 30".